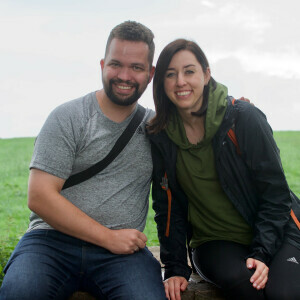 Kinsey and Jamie Edgar-Nielsen joined the Covenant Presbyterian Church staff on July 1st and are working part-time leading Covenant’s students as Youth Directors. For many students, Kinsey and Jamie are familiar faces, as Kinsey held an internship at Covenant in her Junior year of college, and brought Jamie to many events. Kinsey and Jamie have been able to attend youth group for the past couple of weeks, watching the students worship and leading games on occasion. They are looking forward to joining with the students in the events to come this Summer and leading youth group in the Fall.